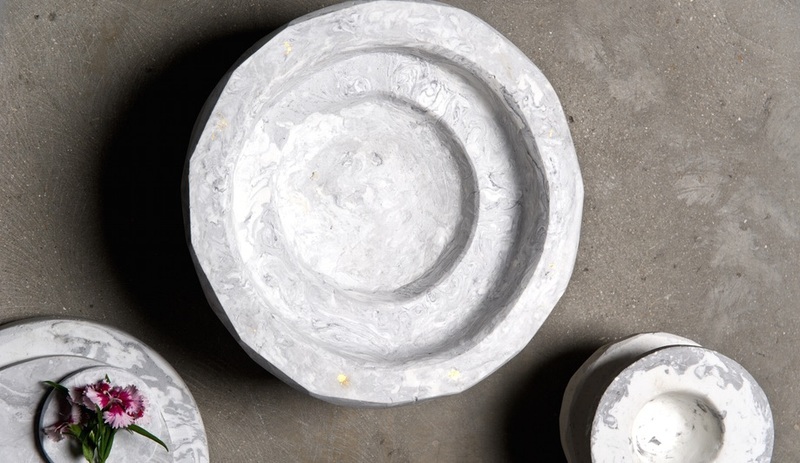 Packaging made from algae, bowls shaped from sugarcane, chairs crafted from artichokes – these sustainable material explorations by AMAM Design Group, Ella Bulley, Spyros Kizis and others look good enough to eat. 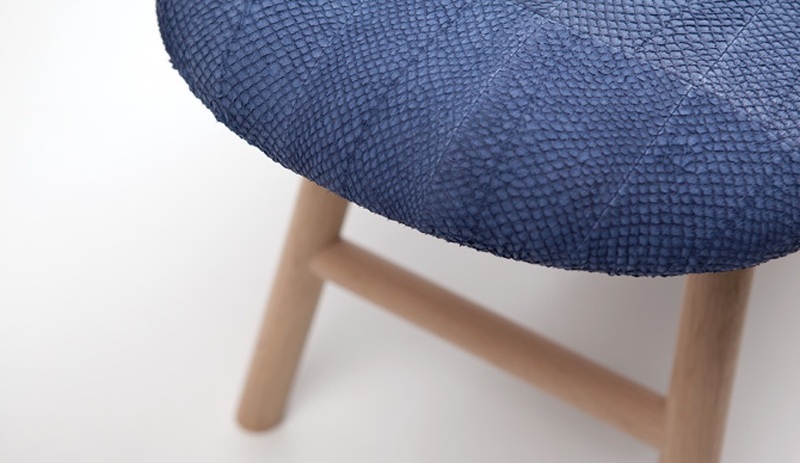 This material exploration from Japanese collective AMAM just earned the 2016 Lexus Design Award’s Grand Prix during Milan Design Week. 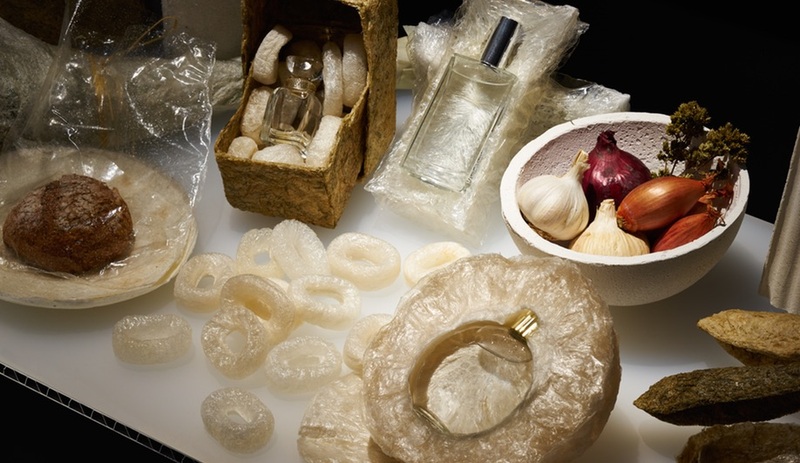 Agar, derived from red algae, is consumed as food in Japan and AMAM is experimenting with the dried medium as a sustainable packing material that could replace plastic or styrofoam. 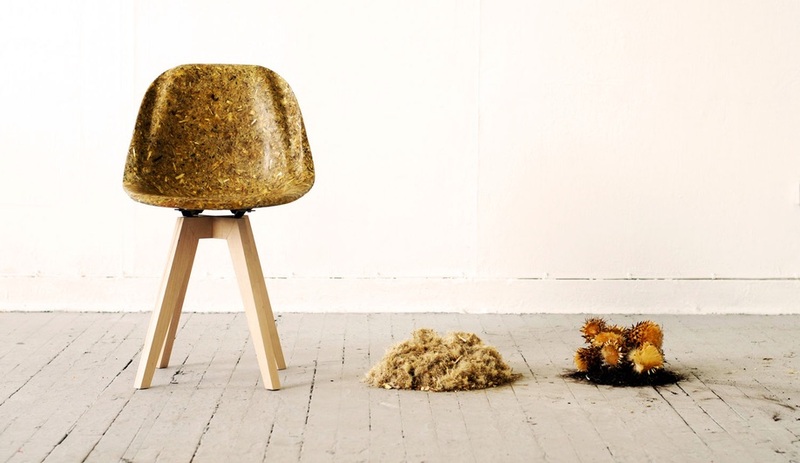 The recipe for this moulded chair, now produced by Schaffenburg Office Furniture, includes artichoke thistle pulp and a resin made from used cooking oil. 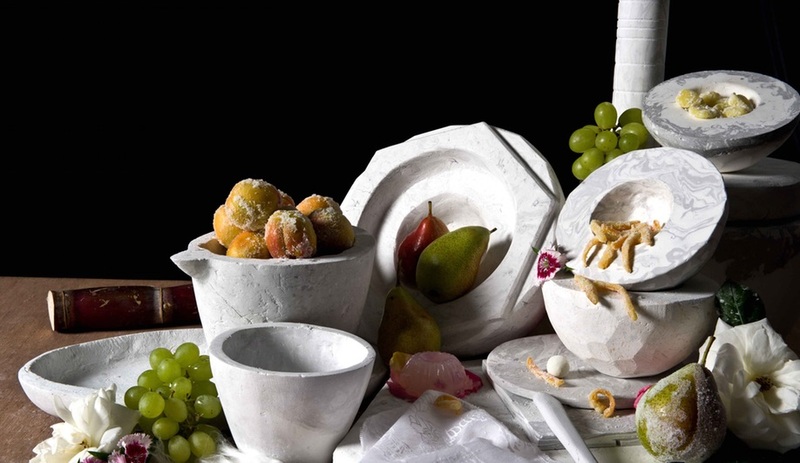 This series of dishes and vessels is hand-sculpted from solid blocks made from sugar cane and ranges in tone from bright white to pale grey. 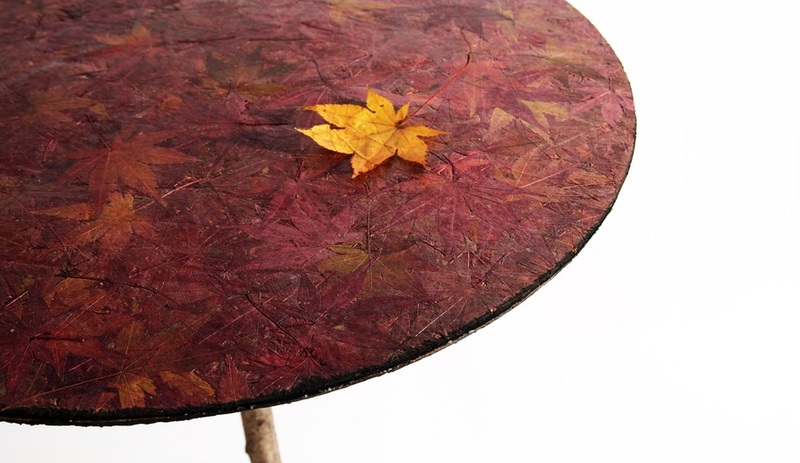 Shown during Milan Design Week, this table top is made using fallen leaves, collected from the ground. 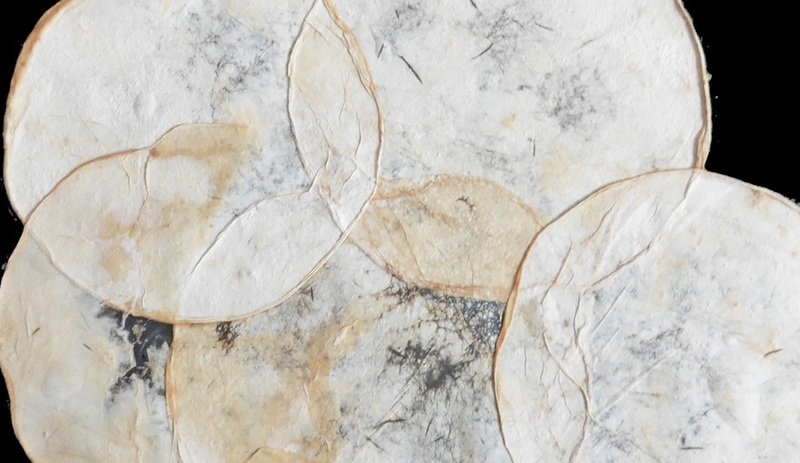 Formed in thin sheets, the material can be used as paper; thicker panels can be used as durable surfacing. 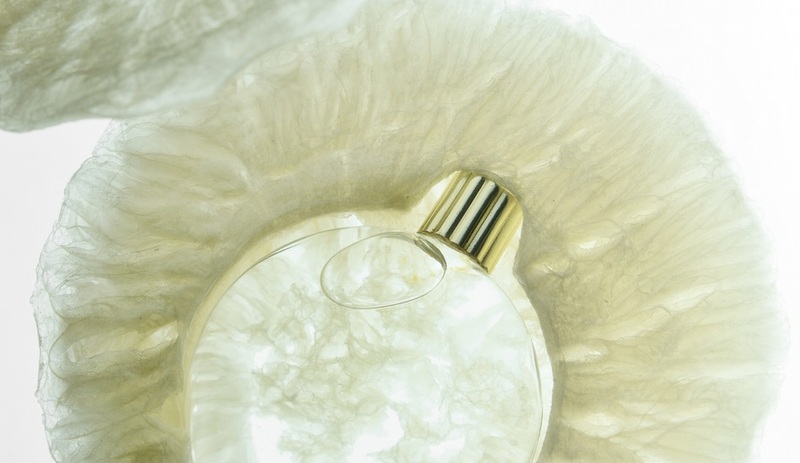 We’ve seen mycelium used as a building material, including in The Living‘s 2014 MoMA PS1 HyFi pavilion. 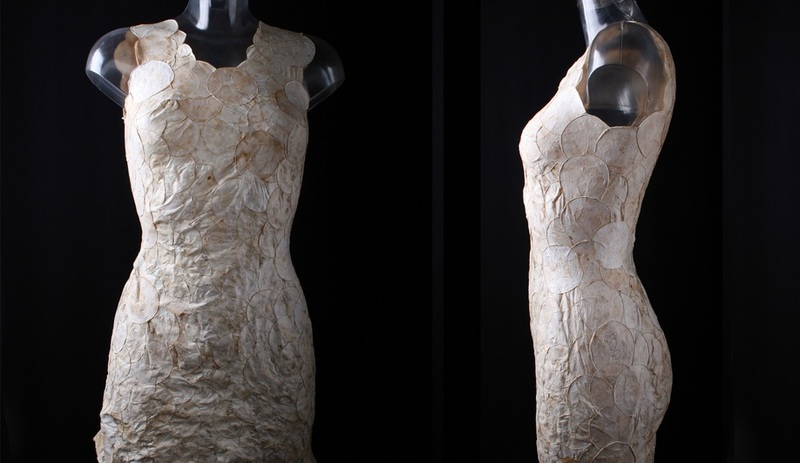 Now, Aniela Hoitink has created a mushroom textile – formed with circular modules – which she’s used to tailor a compostable dress. 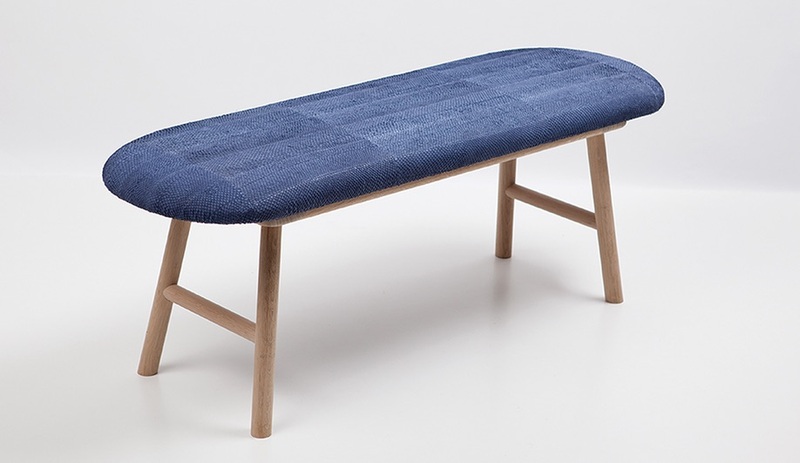 This brilliant blue bench is upholstered in a food industry by-product: salmon leather. Available in other hues as well, the scaley fabric is sourced from certified eco-friendly organic farms.